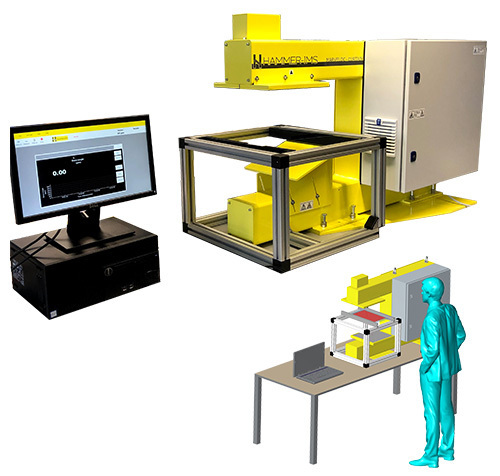 In addition to a range of in-line solutions, Hammer-IMS offers thickness and basis-weight measuring systems for laboratory use. Typically, lab systems consist of a single fixed measurement head, optionally equipped with a feeder and/or scanner. The incorporated M-Ray measurement technology is non-radioactive and non-nuclear, so no increased safety precautions or legal restrictions apply for your lab environment. In-depth measurements from within a lab-environment are typically performed for purposes of: production process optimization; when developing new materials such as nonwovens, plastics or coatings, ...; to investigate used specimens to draw conclusions about endurance, wear and material stability. They are now briefly discussed. Many production sites in the markets of nonwovens, textiles and platics processing have a laboratory where offline measurement systems are used for process optimization. Production engineers perform lab measurements on production samples to evaluate production quality on a deeper static level, which is impossible on a running production line because of economical reasons (loss of production time, increase of production scrap...). The insights gained from detailed thickness or basis-weight measurements in a lab environment enable engineers to optimize the production process. 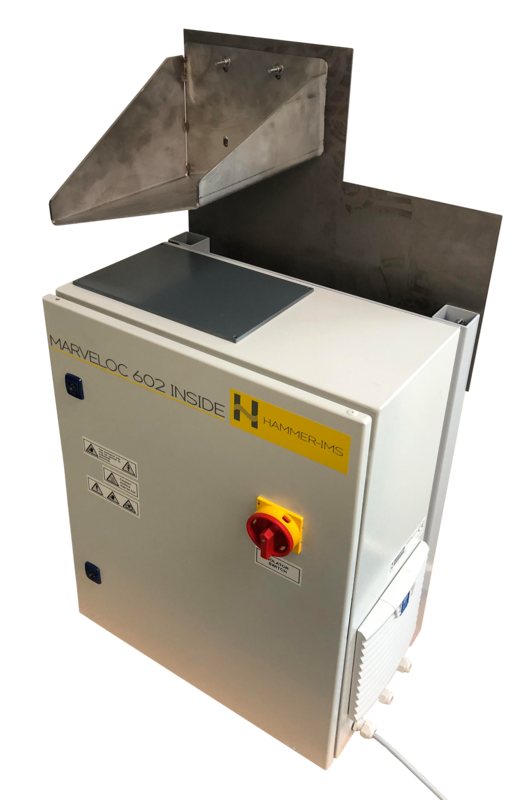 By default, Hammer-IMS offers a light-weight solution in which the labo-scientist feeds the material manual to the device (figure above). Optionally, automated feeder mechanisms and/or a 1D or 2D mechanical scanners can be provided, automating the lab measurements. The figure below shows a material feeder mechanism, combined with a 1D scanning Marveloc 602-CURTAIN. 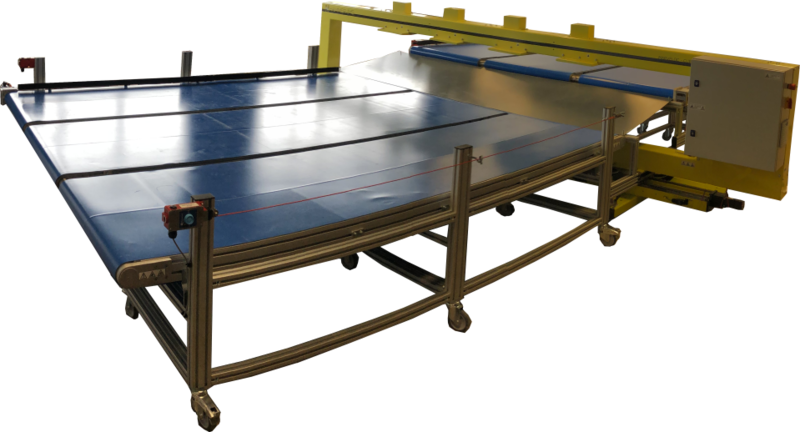 The latter Marveloc 602-CURTAIN is typically used for in-production measurement tasks but can perfectly be applied in a lab situation as well. Lab measurements are also essential in developing new product materials for various market applications. Detailed thickness or basis-weight measurements are typically performed throughout a number of iterative development steps, continuously feeding insights into the process of innovation. This allows R&D engineers to investigate aspects related to finding the best technique for spin coating, masterizing multi-layer extrusion, evaluating the geometrical stability of extruded parts over temperature... As products and materials become more complex, it is essential that the industry is able to measure the physical parameters of products under development in a safe and clean manner. Manufacturers want to collect data on how a certain product behaves with its customer over the complete lifecycle of the product. Lab measurement acquired through Hammer-IMS are valuable in evaluating product quality in light of endurance and wear or stability of products when facing variable and harsh weather conditions. These activities may be part of continuous quality improvement efforts. In general, such a product quality strategy avoids the occurrence of product recalls. 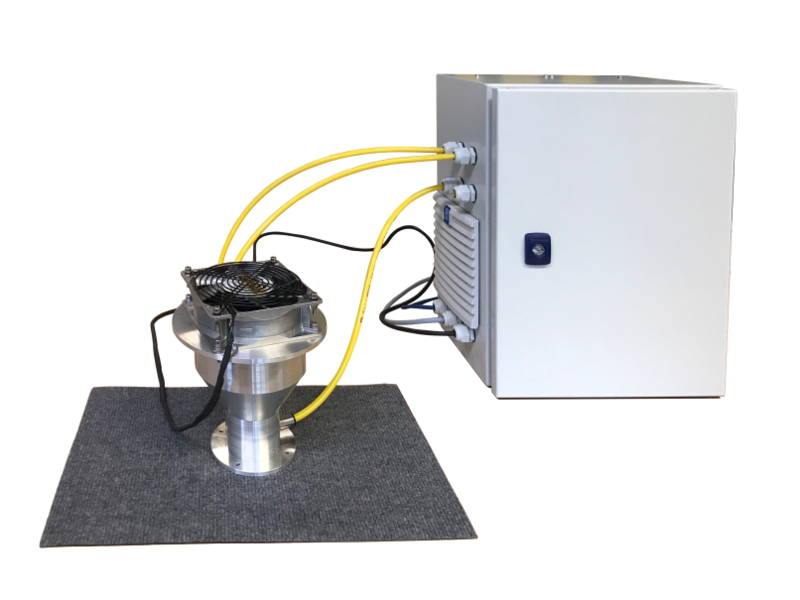 Regardless of the purpose of the lab measurements, Hammer-IMS offers the flexibility to adapt your Hammer-IMS measurement system of choice to your specific requirements. First we have our feeder and scanner modules available to provide you with the best solution for automatic sample feeding. Furthermore, we are able to deliver systems according to customer-specific dimensional requirements or even integrate the lab device to customer PLC systems by one of our preferred industrial field bus technologies (Profinet and TCP/IP). Below, you see a custom lab measurement system with dedicated dimensional requirements and a Profinet industrial field bus integration.